First edition of the second novel in Kennedy’s Albany cycle. Octavo, original cloth. 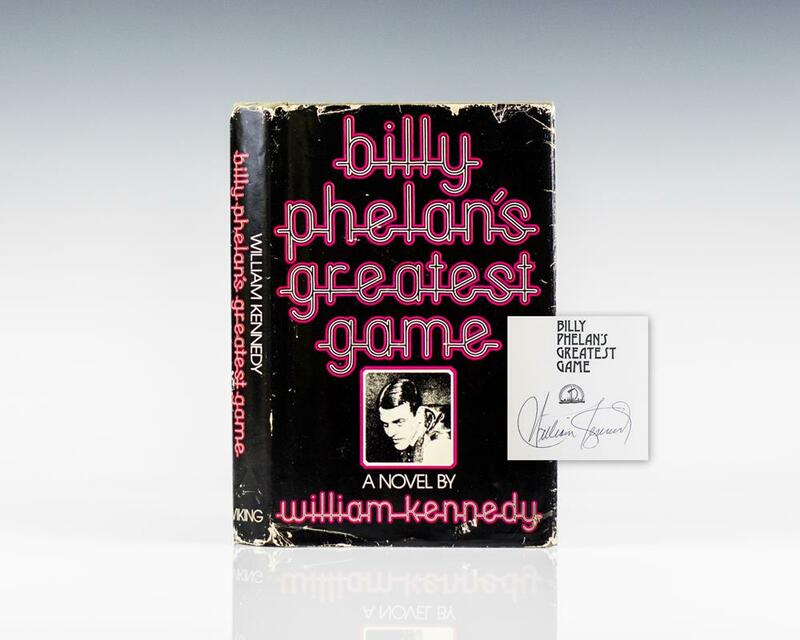 Presentation copy, inscribed by the author on the title page, “For Lee and Laurie, who have watched the game from a ringside seat, with good will and love, Bill”, additionally signed by Kennedy on the half-title page. Near fine in a very good dust jacket with wear and chips to the extremities. A nice inscription. First Edition. Octavo. Original boards. Inscribed by Kennedy on the title page. Fine in a fine dust jacket. The sixth novel in Kennedy’s Albany Cycle. New York: Viking Press, 1983. First edition of Kennedy’s Pulitzer Prize-winning novel. Octavo, original half gray cloth. Signed by William Kennedy on the front free endpaper. Laid in is a newspaper article on Kennedy winning the Pulitzer Prize. Some offsetting to the half and title pages, otherwise fine in a fine dust jacket. Jacket design by Neil Stuart. A very nice example. New York: Dial Press, 1969. First edition of the author’s first book. Octavo. Original boards. Signed by the author on the title page. Fine in a near fine dust jacket with a slightly toned spine. Legs, Billy Phelan’s Greatest Game, Ironweed. New York: The Viking Press, 1982. Uncorrected proofs of the first editions of each of the author’s first three novels in the acclaimed Albany Cycle. Octavo, original wrappers. 3 volumes. Each are signed by the author. Legs is in near fine condition. Billy Phelan’s Greatest Game is in near fine condition. Ironweed is in fine condition. 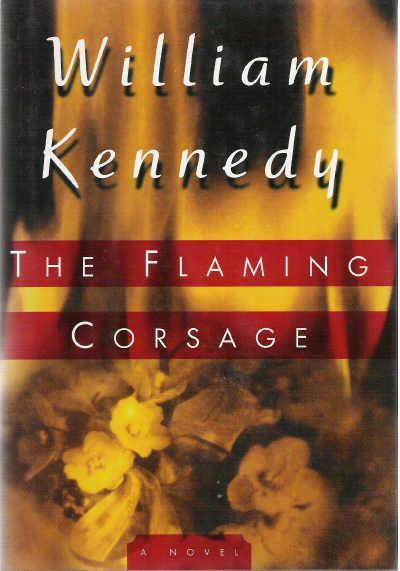 First edition of Kennedy’s Pulitzer Prize-winning novel. Octavo, original half gray cloth. Presentation copy, inscribed by the author on the title page in the year of publication, “For Bob Donovan, who at the moment currently connects me with both Cornell and Albany State, with gratitude Bill Kennedy 1/20/83.” Also, signed by actor Jack Nicholson, who played Francis Phelan in the film. Nicholson was nominated for an Academy Award for his performance. Fine in a fine dust jacket. Jacket design by Neil Stuart. The recipient and the the author were friends in Averill Park, New York. Rare and desirable signed by both Kennedy and Nicholson.